After all these years (since 1993!) our belief system is as strong as our immune system – rock solid. But when you are just starting out, it’s nowhere near that strong. Here are some things that are guaranteed to build your belief in Juice Plus+. 1. Take Juice Plus+ products consistently. Your own Juice Plus+ story must be strong. It’s so obvious we often miss it – make sure you are consistent in taking JP+. O, G and Vineyard, and Complete. Until you become a ‘product of the product’, your belief will never be strong because your story will be weak. It may take months, even years for your full JP+ story to develop/evolve. It will if you are consistent in using all the products all the time. 2. Work your Juice Plus+ business consistently. Just as consistency in taking Juice Plus+ builds your immune system and Belief in the product, so consistency in working the Juice Plus+ business builds your Belief system – in the product and the business. 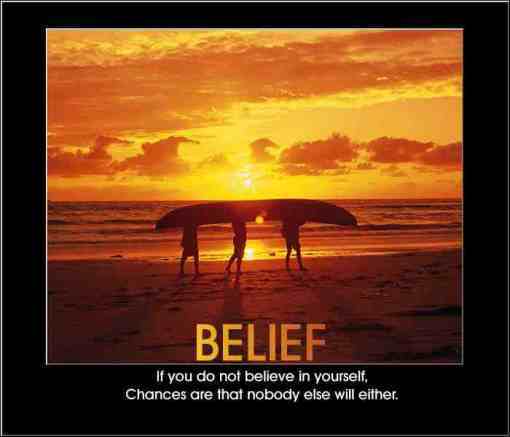 If you are talking about Juice Plus+ and telling your story every day, your belief will be growing daily. If you talk about JP+ once a week (like learning to ride a bike), you will never develop a strong belief. 3. Talk to your customers consistently. Every time you hear a customers’ story – the results they or their child are getting – and hear their heart-felt ‘thank you’ for introducing them to JP+ … that builds belief more than almost anything. So, the more customers you get, the more great stories you hear and the more your belief builds. If you don’t have many customers, and/or you don’t talk to them consistently and often (enough) you will not hear their good news often and your belief will remain weak. (This is where a doctor – Dr. Terri!) has an ‘unfair advantage’! 4. Attend events consistently (WPs, PPlus+s, etc.) Not just attend, but take part. When you are at an event with a prospect or customer, introduce them to other people at the event (starting with the speaker!) before and after. Be available for other people at the event – to share your story, to encourage, to exhibit your belief. The more/sooner you actively participate in the events (eventually speaking from the ‘stage’?! ), the more/sooner your belief will build and be strong. 5. Talk about JP+ Research consistently. Not the details. Pick 2 or 3 studies that really mean something to you personally (for me it’s Pregnancy and the Cobra study), and talk about them simply, but with passion. The more you do this, the more your belief will build. 6. ‘Infect’ others consistently. Your Belief (or lack of), your attitude is infectious – like it or not. Work hard to infect others with something that will make a positive difference (make someone’s day); an attitude of belief that builds up, not one that tears down. But when skeptics or negative people are around? How do you feel when someone questions the validity of Juice Plus+? Does your stomach tighten? Do you feel nervous or scared? We know, we’ve been there, we’ve had those feelings – long ago! When we started telling people about Juice Plus+ in 1993, we had no research, in fact, none of the great information and tools that we have today. We just had our own belief based on our own experience – what Juice Plus+ had done for us and others; that had to be enough for us. Is your Belief in Juice Plus+ so strong, that you feel compelled to gently, lovingly help the questioner understand just how great Juice Plus+ is? If they are questioning the research, do you ask them to watch the Dr. Dubois DVD “The Power Behind Juice Plus+”? When did you last watch that DVD?! Your Belief system needs to be as strong as your immune system is after taking Juice Plus+ for a while. It’s not surprising that some question our research. After all, except for the personal testimonies of hundreds of thousands of us who have seen great results by taking Juice Plus+ (‘but this is anecdotal evidence’ critics say), the published research IS what sets us apart from every other product out there, so why wouldn’t that come under attack?! research themselves. It’s no wonder so many drugs are later withdrawn, having been found to be not just ineffective, but dangerous. Juice Plus+ is very different, as you will discover by reading the email below from John Blair, VP Product and Research for Juice Plus+. John was instrumental in bringing Juice Plus+ to Juice Plus+ and to market, and has been intimately involved in all aspects of development, manufacture and research of Juice Plus+ since long before it’s introduction. The majority of Juice Plus+ research is done at Universities. The funding provided by Juice Plus+ or NAI is not a secret (or a bribe) and is included in the text of each published research paper. This is standard practice. After reading John’s email (below), I recommend you go and read the Prevention Plus+ newsletters which describe the published results of Juice Plus+ research. Each of those newsletters has a profile of a prominent physician who recommends Juice Plus+ and some of them profile the researchers themselves. Why not share one of these with your skeptical prospect? If that doesn’t build your belief in Juice Plus+ and encourage you to get out there and share this wonderful gift with the world, if that doesn’t light your fire … then your wood’s wet! 1. Almost all research (worldwide) is funded by outside sources (no researchers do their work for free). The sources can be private companies, government entities or foundations. The vast majority of research is funded by the manufacturers of products, whether they be drug companies, nutraceutical companies or food companies. This is the way the world works. We have funded a little less than half of the published research. NAI has funded a little less than half of the research. Our Master Distributors (in the case of research done in foreign countries) have contributed some funds, and in one case (Wake Forest) the research is being funded by the National Cancer Institute under the National Institutes of Health. a) Our funding gives us the right to approve (not design, just approve) protocols and budgets. The protocol specifies what the researcher is looking for, how many subjects are needed, what dosage of the active ingredient (Juice Plus+) is to be given on a daily basis, how long the study should be, etc. etc. etc. Without that, some researcher could go off “half cocked” not knowing what Juice Plus+ is, what it does, how to take it, etc. and end up wasting a lot of time and money. the field of research going to know about Juice Plus+? What is the possibility that someone is going to do research on a product that they do not even know exists? It’s the initial research that gets the attention of the scientific community to want to know and do more. In point of fact it was our first three published studies that helped convince the National Institute of Health to fund the Wake Forest Project. a) After the protocol is agreed to, Juice Plus+ and NAI have nothing to do with the actual work: subject recruitment, clinical work, data recording, statistical analysis, etc. b) Juice Plus+ and NAI have nothing to do with drafting the research paper (although we do receive an advance copy). c) The draft paper is submitted by the original researchers (not by Juice Plus+ or NAI) to an independent journal which then distributes the paper to it’s independent review board. The decision as to where to submit a paper is up to the original researchers, although Juice Plus+ and NAI can make suggestions. d) Comments and suggestions from the independent review board are then returned to the original researchers for response. Occasionally, Juice Plus+ and NAI help the researchers with responses, particularly if the questions pertain to the active ingredient (Juice Plus+). e) The final published paper reflects directly on the reputation of the researchers and the publishing journal, none of whom want to be associated with work that is not of high quality and worthy of publication. 3. The paper from the University of Maryland on the effect of Juice Plus+ on blood flow restriction after a high fat meal was published in the Journal of the American College of Cardiology because it is impressive research that is appropriate for a high quality cardiology journal. The research met the Journal’s high standards and stood up to the scrutiny of their peer review panel. Consequently, they chose to publish it. 4. All of the more recent studies done on Juice Plus+ in the past few years and most of those going forward are Double-Blind, Placebo-Controlled, Crossover type studies, the “Gold Standard” of protocol. 5. The study participants are volunteers that are recruited by the independent researchers and Juice Plus+ and NAI have nothing to do with this part of the process. 6. How the active ingredient (Juice Plus+) is referred to is generally the decision of the researchers who draft the manuscript. Some directly refer to Juice Plus+ and some do not, although you should be able to find a mention of Juice Plus+ in the footnotes. As I stated above, Juice Plus+ and NAI cannot control how the manuscript reads. I believe that you can see from my explanations that the research on Juice Plus+ is genuinely independent and credible. Consistency, just like those six points above, is also key to building your belief in what you do – in your business and how it works. Consistently sharing Juice Plus+, sharing the business opportunity, building your customer base, building your team and seeing all of their families and yours benefiting physically and/or financially. Remember: your Juice Plus+ income is an accurate measure of the number of lives you have touched and improved. One tool, if used properly, is guaranteed to build your belief and deepen your LOVE for what you do: “The 30 Reasons I Love My Juice Plus+ Business“. Read them aloud every day – as affirmations they are powerful. Add them to spice up your business Story, and see how your reasons inspire your friends to look more seriously at what you do – at the business you love so much.